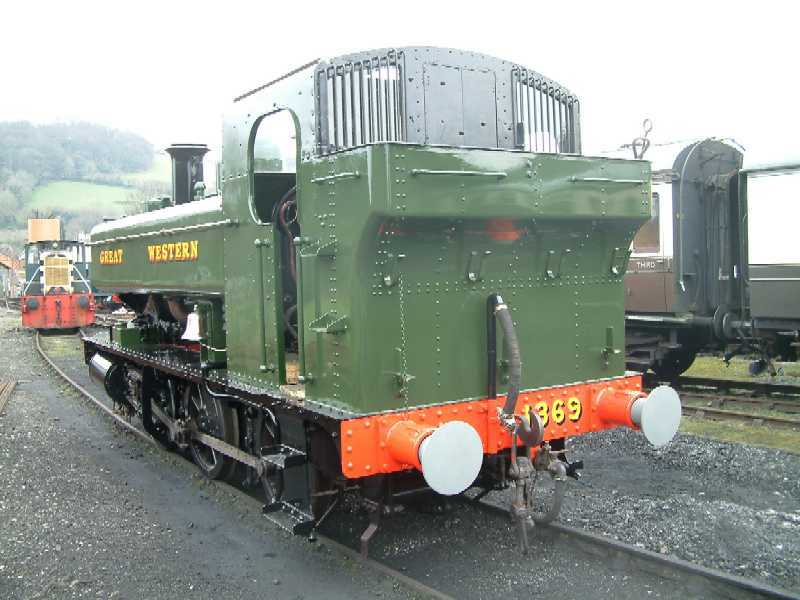 The overhaul of 0-6-0PT 1369 has been completed at Buckfastleigh with the engine passing its boiler test on April 3rd before setting off for some running in turns to ready it for taking part in the Easter Transport Gala. The overhaul was completed in 16 months. The boiler overhaul was largely carried out at the LNWR works in Crewe with the SDR having first stripped the tubes. 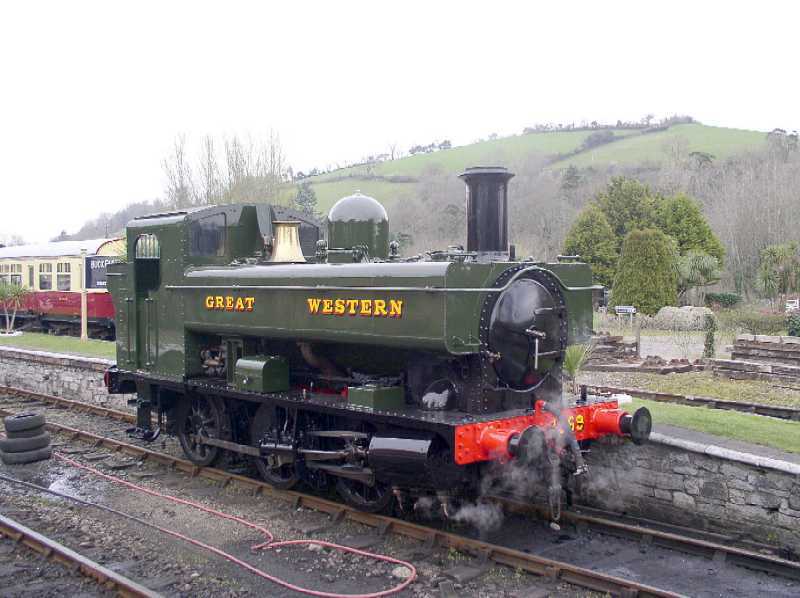 The chassis overhaul work has been carried out in house at Buckfastleigh in amongst the railway's other work, which included completing the major rebuild from ex-Barry state of 2-8-0 3803. 1369 is now resplendent in full Great Western green livery as it was turned out at Swindon when new. For its previous ten year ticket it ran in BR black. Background and history of the "1366" class. 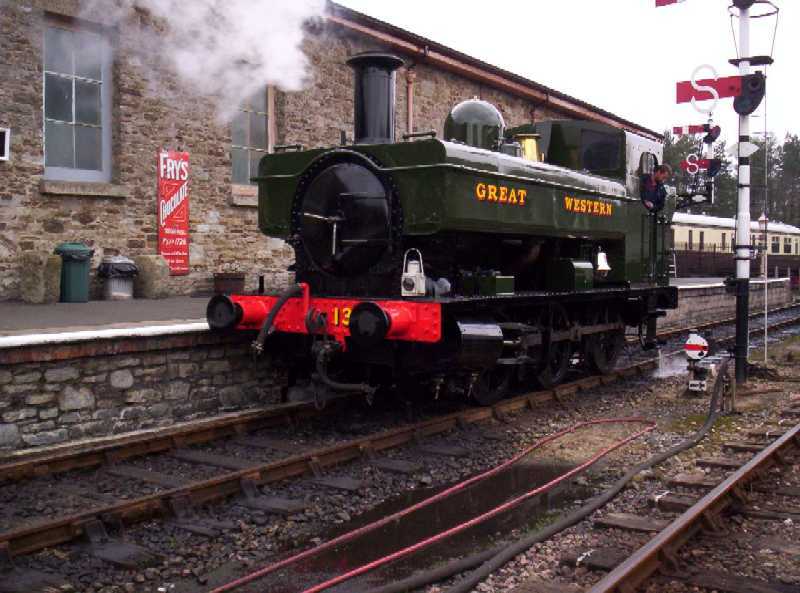 The works will now concentrate on the rebuild of 0-4-2T 1420 and 0-6-0 3205. The two jobs will proceed side by side although it is unclear which one will eventually win - much will depend on what work is needed as the two locomotives are stripped. 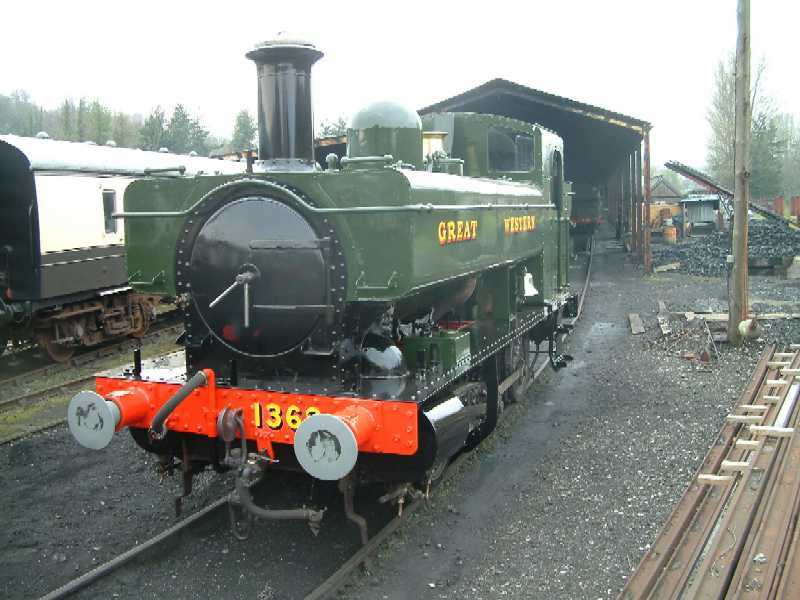 The SDR is hoping to carry out much of the boiler work in house on both engines. 3205 needs retyring but with the tyres already to hand and the retyring equipment up and running this will pose no problems. 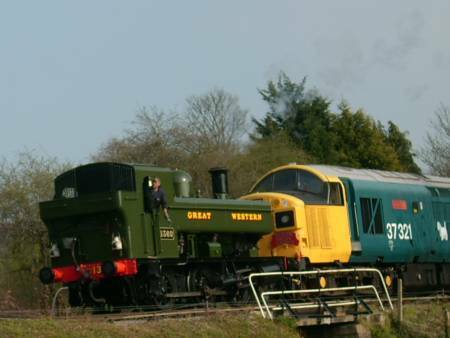 Post Script: Whilst waiting at Staverton for her train 1369 was called upon to rescue 37321 which was overheating following the failure of a cooling fan. Note the "Express" Headlamps.